Tottenham has over 2.5 goals in their last 4 games in Premier League. Everton lost their last 3 games in Premier League. Crystal Palace has over 2.5 goals in their last 6 games in Premier League. Huddersfield Town has over 2.5 goals in their last 3 games in Premier League. Brighton & Hove Albion scored in last 5 games in Premier League. Tottenham has over 2.5 goals in their last 3 away games in Premier League. Chelsea has under 2.5 goals in their last 3 games in Premier League. Huddersfield Town won their last 3 games in Premier League. Tottenham scored in last 3 away games in Premier League. Tottenham scored in last 4 games in Premier League. Newcastle United didn’t score in last 3 games in Premier League. Watford won their last 3 games in Premier League. Brighton & Hove Albion scored in last 4 away games in Premier League. Watford scored in last 5 games in Premier League. Brighton & Hove Albion allowed opponents to score over 1.5 goals in last 3 games in Premier League. Huddersfield Town scored in last 4 games in Premier League. Chelsea scored in last 7 games in Premier League. Crystal Palace has over 2.5 goals in their last 5 away games in Premier League. Guingamp won their last 4 games in Ligue 1. Saint Etienne scored in last 6 games in Ligue 1. Lyon has over 2.5 goals in their last 5 games in Ligue 1. Monaco has over 2.5 goals in their last 5 away games in Ligue 1. Lyon scored in last 7 home games in Ligue 1. Monaco scored in last 7 away games in Ligue 1. Dijon has over 2.5 goals in their last 3 away games in Ligue 1. Guingamp scored in last 4 games in Ligue 1. Amiens SC has under 2.5 goals in their last 3 away games in Ligue 1. Dijon scored in last 7 games in Ligue 1. Lyon won their last 3 home games in Ligue 1. Saint Etienne allowed opponents to score over 1.5 goals in last 3 games in Ligue 1. Dijon has over 2.5 goals in their last 4 games in Ligue 1. Guingamp allowed opponents to score over 1.5 goals in last 4 games in Ligue 1. Monaco scored in last 7 games in Ligue 1. Lyon scored in last 11 games in Ligue 1. Dijon scored in last 3 away games in Ligue 1. Oakleigh Cannons has over 2.5 goals in their last 3 games in NPL Victoria (Australia). Hume City has under 2.5 goals in their last 4 home games in NPL Victoria (Australia). Oakleigh Cannons scored in last 6 games in NPL Victoria (Australia). Hume City scored in last 4 games in NPL Victoria (Australia). Hume City scored in last 13 home games in NPL Victoria (Australia). Ceara has under 2.5 goals in their last 3 home games in Serie A (Brazil). Ceara has under 2.5 goals in their last 6 games in Serie A (Brazil). Atletico Paranaense allowed opponents to score over 1.5 goals in last 4 games in Serie A (Brazil). 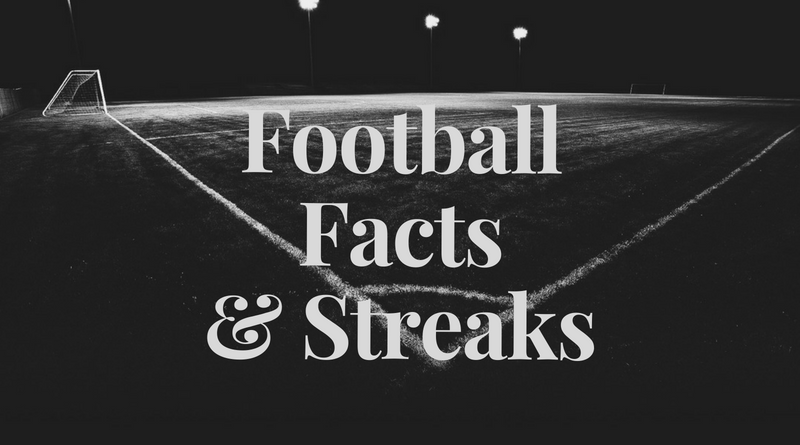 Ceara allowed opponents to score over 1.5 goals in last 3 home games in Serie A (Brazil). Ceara allowed opponents to score over 1.5 goals in last 6 games in Serie A (Brazil). Shanghai Shenhua has over 2.5 goals in their last 3 away games in Super League (China). Shanghai Shenhua scored in last 14 away games in Super League (China). Chongqing Lifan has over 2.5 goals in their last 5 games in Super League (China). Shanghai SIPG scored in last 18 home games in Super League (China). Chongqing Lifan scored in last 3 home games in Super League (China). Shandong Luneng allowed opponents to score over 1.5 goals in last 4 away games in Super League (China). Shandong Luneng allowed opponents to score over 1.5 goals in last 5 games in Super League (China). Hobro has over 2.5 goals in their last 3 home games in Superligaen. Hobro has over 2.5 goals in their last 4 games in Superligaen. Odense lost their last 3 away games in Superligaen. Hobro lost their last 3 home games in Superligaen. Hobro lost their last 4 games in Superligaen. Kashima Antlers scored in last 6 away games in J League (Japan). Kawasaki Frontale scored in last 5 games in J League (Japan). Kawasaki Frontale scored in last 3 away games in J League (Japan). eShimizu S-Pulse allowed opponents to score over 1.5 goals in last 3 games in J League (Japan). Kawasaki Frontale allowed opponents to score over 1.5 goals in last 9 games in J League (Japan). Kawasaki Frontale allowed opponents to score over 1.5 goals in last 5 away games in J League (Japan). Kashima Antlers scored in last 7 games in J League (Japan). Kilmarnock won their last 4 games in Premiership. Heart of Midlothian has over 2.5 goals in their last 3 games in Premiership. Kilmarnock scored in last 4 games in Premiership. Heart of Midlothian has over 2.5 goals in their last 4 home games in Premiership. Livingston has under 2.5 goals in their last 4 home games in Premiership. Kilmarnock won their last 3 away games in Premiership. Heart of Midlothian won their last 3 games in Premiership. Heart of Midlothian won their last 4 home games in Premiership. Kilmarnock scored in last 10 away games in Premiership. Heart of Midlothian scored in last 9 home games in Premiership. Brommapojkarna has over 2.5 goals in their last 6 away games in Allsvenskan. Orebro has over 2.5 goals in their last 3 home games in Allsvenskan. Brommapojkarna lost their last 6 away games in Allsvenskan. Brommapojkarna lost their last 4 games in Allsvenskan. Orebro scored in last 3 home games in Allsvenskan. Fenerbahce has over 2.5 goals in their last 3 home games in Super Lig. Bursaspor won their last 3 games in Super Lig. Bursaspor scored in last 3 games in Super Lig. Fenerbahce scored in last 3 home games in Super Lig. Fenerbahce scored over 1.5 goals in last 3 home games in Super Lig.